List Your Small Business Here For Free. Gain More Online Exposure! Welcome to the free general web directory / Yellow Pages of Lowell MA area businesses. All the business listings meet the search engine friendly requirements also known as SEO. We encourage all our visitors to rate the directories they submit to. We also have a reporting function where you could report wrongly categorized directories or Business listings that are no longer active. 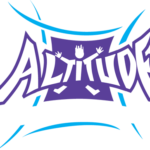 Business Summary: Altitude Billerica is one of the largest indoor trampoline parks in the state measuring 30,000 square feet with 15,000 square feet of interconnected wall to wall trampolines and attractions. The indoor park includes a variety of specific activities such as 3D Dodgeball, Basketball Dunking Lanes, Foam Pits, Gymnastics "tumble tracks", as well as a large Main Court. Altitude Billerica is the only trampoline park in Massachusetts to have a Rock Climbing Wall and Battle Beam suspended over foam pits! Business Summary: We are the leading global provider of International Package / Freight Forwarding and transportation solutions. Established in 1996 as a Boston Based international shipping company. We rapidly evolved into a global brand recognized for its customized mail forwarding and shipping services. 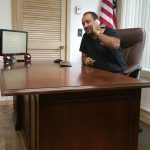 US Freight Forwarder is a subsidiary of Biz International, Corp.
Business Summary: Our Mobile Notary Public is fluent in Arabic and will help Notarize your documents if they are in compliance with our State Guidelines. We know how important your Arabic Documents can be and how hard it is to find a Mobile Notary Service that speaks and reads your language, that is why we are happy to offer this convenient service for a fraction of the cost others charge. Business Summary: Bayside Engineering, is Boston-area-based firm offering specialized services in evaluation, design and construction phases of Transportation and Civil Infrastructure Engineering including highway, roadway, bridge, traffic management, signalization, pedestrian and ADA upgrades, utilities, parking, drainage controls, stormwater management and environmental permitting. Bayside, for over 30 years, has demonstrated its expertise on projects ranging from congested metropolitan areas to open settings. Bayside has completed projects in major cities, suburban communities, and rural settings for which we have designed highways, roadways and intersections including new geometry, parking, interchanges and ramps, retaining walls, closed loop signalization controls, traffic safety, pedestrian crossings, walkways and bikeways, site utilization and development plans, drainage upgrades and stormwater treatment, ROW plans, utility relocations, water service distribution systems and wastewater collection and treatment systems.